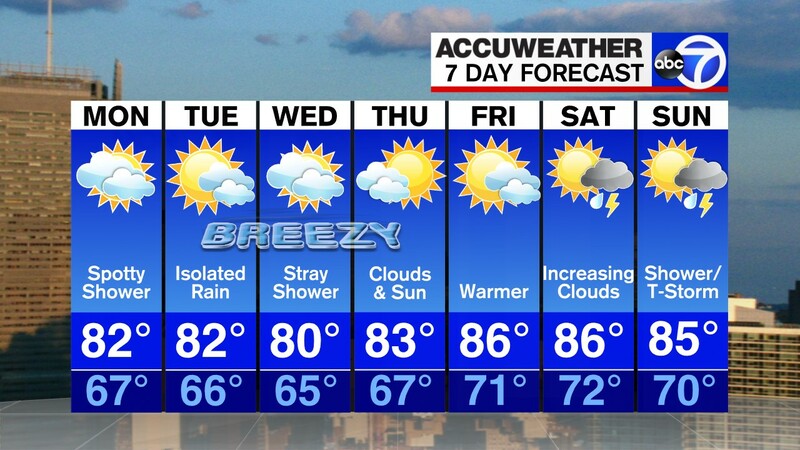 NEW YORK (WABC) -- A Flash Flood Watch is in effect for parts of the New York area with storms expected to bring heavy rain late Friday night into Saturday morning. Breezy and warmer with a high near 73, followed by steady and heavy rain later in the evening. AM rain with a high near 64. Variable clouds and some spotty showers with a high near 67. Turning warmer, with clouds, sun and spotty showers. Hgh near 67. Best bet of the week. Mostly sunny with a high near 76. Chance of showers with a high near 65.